Otter Creek has a wait list. Families who need care are encouraged to get on as many wait lists in the area as possible. 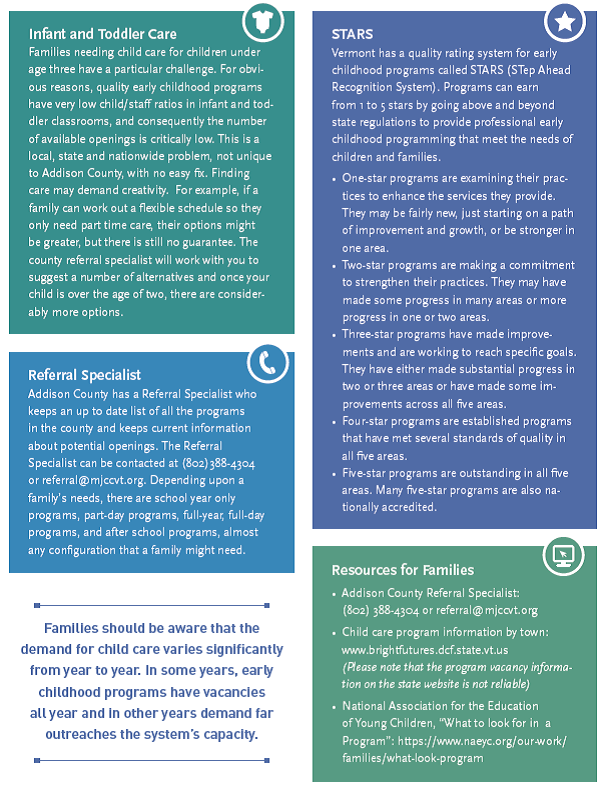 Contact the Addison County Child Care Services Referral Specialist, Ginny Sinclair, at 802-388-4304 for help navigating child care in Addison County. Enrollment for the new school year begins in late March/early April, for current families. 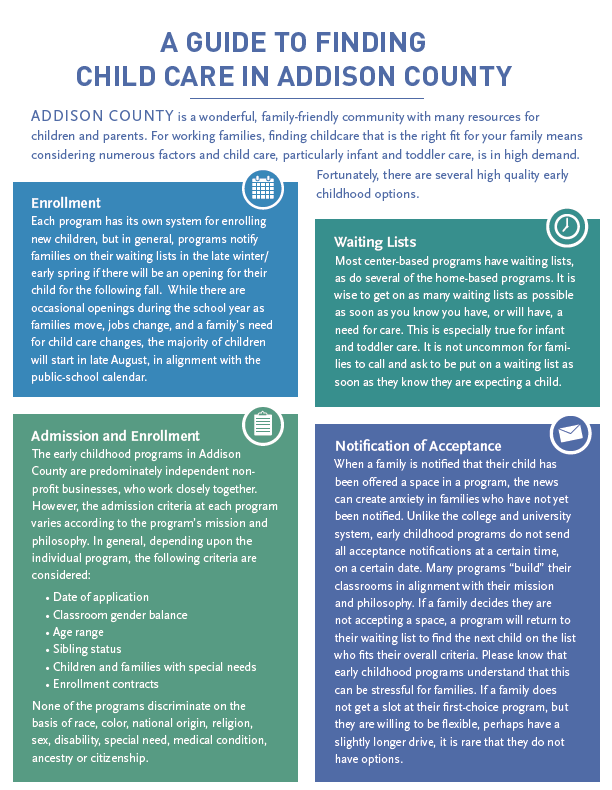 Once current families are re-enrolled we begin filling remaining spaces with wait list families. This process can begin as early as April and go through late July. In winter of each year we ask current wait list families if they would like to remain on the wait list or if they would like to be removed. We are happy to update your information as often as you would like. To place your family on the wait list please fill out the form below.